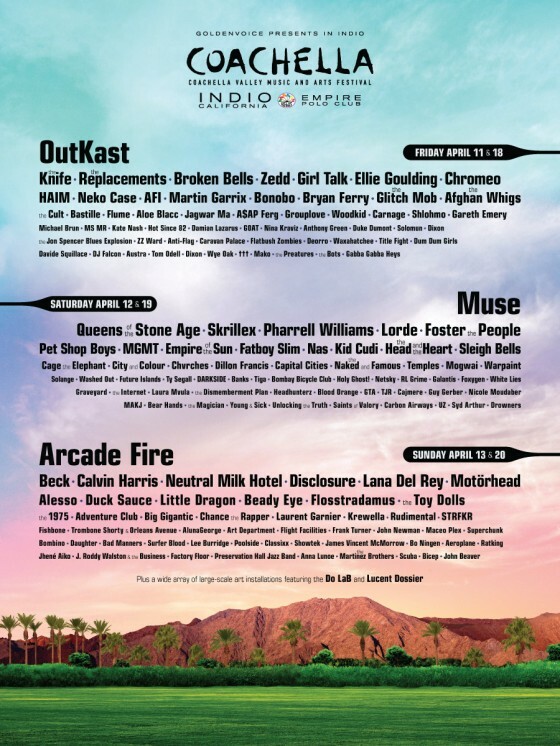 Coachella 2014 Line Up Announced — featuring 12 Hidden Track Music artist clients! Beady Eye, White Lies, and Young & Sick from the resurrected Harvest Records. Skrillex, Zedd, Dillon Francis and Showtek from Skrillex’ prestigious OWSLA label. As well as HAIM, Solange and Duke Dumont. See you in the desert in April!